Did you know Tom Cruise hung off of an airplane while it took off for the new Mission: Impossible movie? Of course you did. You’ve heard it everywhere. For months. Do you know why? Because it’s freaking awesome. Even knowing it was going to happen months and months in advance Cruise’s plane stunt was nothing short of thrilling. As were Cruise’s car chase and motorcycle chase and industrial spelunking sequences. But that’s kind of all Mission: Impossible – Rogue Nation has going for it, a point the villain in Rogue Nation really drove home. I couldn’t remember the name of the villain walking out of the theater. I can’t remember his motives. I have to strain my brain just to cobble together a memory of his general scheme. 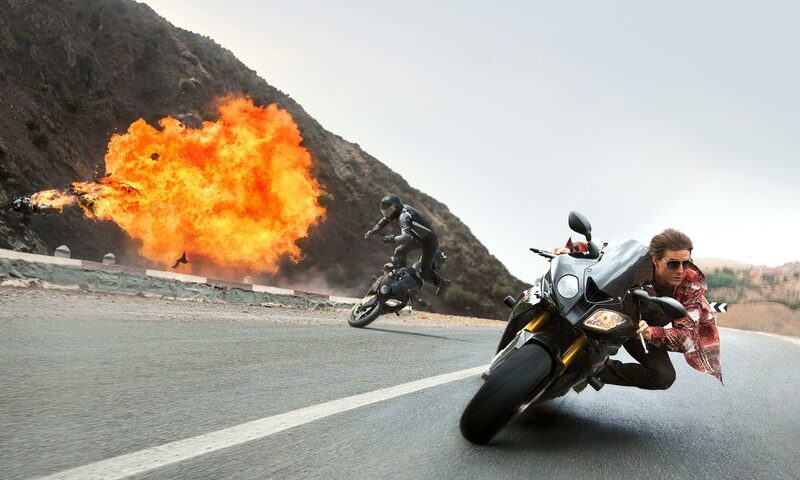 Much like every Mission: Impossible villain that isn’t played by Phillip Seymour Hoffman (whose Owen Davian I notably can still recall the name of years later) the leader of Rogue Nation’s mysterious Syndicate is basically a narrative ramp for Cruise’s Ethan Hunt to launch a motorcycle off of. Which brings me to another point about the Mission: Impossible movies – who the hell even is Ethan Hunt? After five films I still can’t really put my finger on any one distinguishing characteristic of Ethan Hunt’s. Sure, he’s a good guy who does good guy things because that’s what a good guy does in a movie, but nothing he does has ever screamed “classic Ethan” because there’s really no basis for what “classic Ethan” would even entail. He’s kind of just a dude who runs around a lot. That being said I do enjoy watching Ethan Hunt run around a lot, and while the franchise’s loosely defined mythology can leave its characters rather thin it also leaves a wide breadth for the incorporation of directorial styles as distinct and disparate as John Woo and Brad Bird. So at the end of the day Rogue Nation is exactly as fun as any other Mission: Impossible movie (I mean the guy hangs off an airplane), but for the love of god M:I6 needs a villain for Ethan to run around that I can at least pretend to have a vague interest in.